This story has been updated to include comments from Crescent Springs city administrator George Ripberger. The City of Erlanger rejected a 6-month contract extension to provide police services to the City of Crescent Springs. Erlanger Police Department has patrolled Crescent Springs on a contractual basis since 2008. The current contract expires on June 30, 2018. "They have had time to do this," Erlanger Police Chief Tony Wilson told Erlanger city council during a special meeting on Tuesday. "We need 36 to 38 officers to patrol Erlanger. To add Crescent Springs, we would need 42 to 44 officers. We can't maintain that level of personnel when we feel it is inevitable that they are going to cancel the contract." Wilson said that the Erlanger PD is down four to five officers, and that five more may be retiring. He said if the department must hire five or six new people, that puts the burden on the department and the city. Crescent Springs has solicited bids from other police departments, Wilson said. No, Crescent Springs hasn't, Crescent Springs city administrator George Ripberger said. What has happened, he said, is another neighboring city inquired about providing police service to Crescent Springs, at half the cost of what Erlanger charges. In 2008, Crescent Springs ended its police department and the two neighboring cities entered into a five-year contract, which was renewed for another five years in 2013. Currently, Crescent Springs pays $1,068,666 per year for the police services. Both cities are contractually obligated to give 12-months notice to end the contract, so Erlanger was looking for a promise to renew by the end of this month. Erlanger proposed an annual price of $1,111,413. Crescent Springs sought to lower the price to $953,676, and the contract would include a 2 percent increase per year. If Crescent Springs does not renew the five-year contract with Erlanger, the price for the final year would revert to the higher price. Ripberger, who spoke to The River City News on Wednesday, said, "Word got out that we were negotiating to lower our police contract as much as we could because we are paying over a million dollars. Evidently, in doing so, some other cities had heard that and we received a proposal for police services and it was half of the cost of what we're paying Erlanger. "Any time that you get a bud for police services from a neighboring city that is half the cost of what you're paying, it is my job and the mayor's job and the council's job to do our due diligence and to look at that proposal because of those kind of numbers." Ripberger, who was chief of the former Crescent Springs Police Department in the 1990s, said that two other cities have also inquired about submitting a bid if Crescent Springs formally solicits such proposals. A special meeting has been called in Crescent Springs on June 26 to discuss the matter. 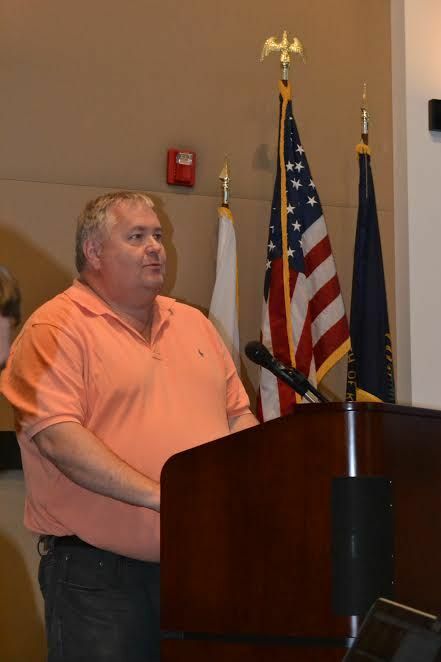 Crescent Springs councilman Mike Daugherty came to Erlanger's meeting to find out whether the offer would still be valid if his city would sign the renewal before June 30, and there seemed to be a positive answer. The issue Tuesday evening was whether to allow Crescent Springs to have six more months to decide the issue. Upon the recommendation of Erlanger council members Vicki Kyle and Patty Suedkamp, who make up the police committee, and the recommendation of Chief Wilson, council voted against the six-month extension. "We asked for this extension because we have to give notice by June 30 if we plan on leaving and right now we are not planning on leaving," Ripberger said. "We're looking at our options and investigating to see, is there a way to lower the price. Is it a good bid we've been given, will it work, or do we want to stay with Erlanger?"